Cyber attacks today are bigger, faster, and happening more frequently than ever. Intrusion detection system alerts are only the beginning of the story. 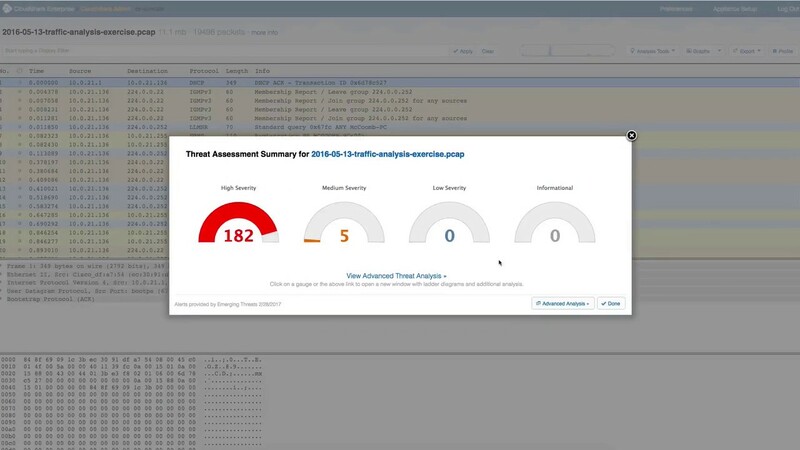 CloudShark Threat Assessment quickly takes you from the network alert all the way down to the individual packets, so you can determine the root cause and protect your network.